As a high school sophomore, Sam Thompson suffered a tragedy most people couldn’t imagine. For Thompson, the massive mudslide that devastated communities near Oso, Washington, hit close to his home in Spokane, too. The March 2014 mudslide killed his uncle, aunt, two young cousins, grandmother and grandfather. The slide ultimately claimed 43 lives, prompting a presidential major disaster declaration, dogged search-and-rescue efforts by emergency responders, and an outpouring of support volunteers. “I think about it every day,” Thompson said. Before the slide hit, when Thompson was a freshman, he transferred to Joel E. Ferris High School from the small town of Spangle. It was difficult to go from such a small school environment to a much larger one, he said, and he struggled at first. Then, in his sophomore year, Thompson was devastated by the loss of his family members in Western Washington, but fought to keep going and ultimately turned the tragic event into a personal success story. He is set to receive his diploma from Ferris this spring. It was an opportunity his other family members didn’t have, and Thompson wanted to do his best for them. 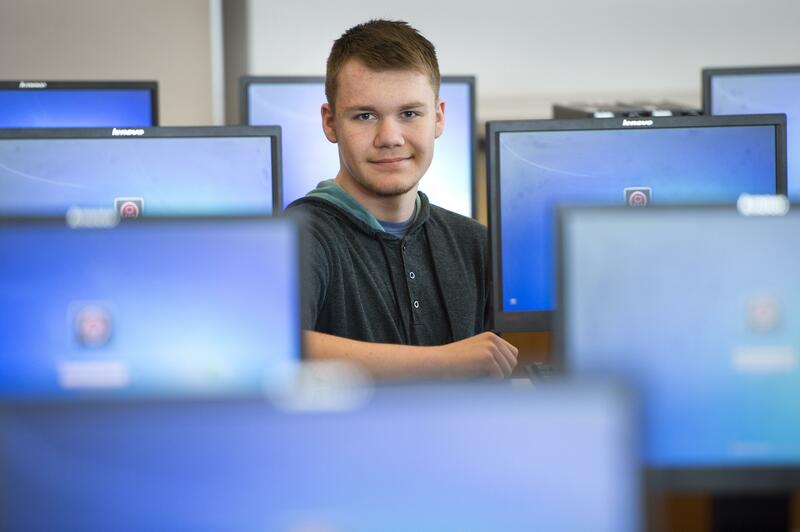 He hopes to attend Eastern Washington University, study education, and ultimately become a history teacher. Perhaps speaking to the scale of the tragedy and the number of people it affected, Ferris Principal Ken Schutz also has ties to the area impacted by the slide. Schutz was a principal in nearby Darrington for eight years, and like Thompson, knew many people lost in the slide. Schutz returned to the area to volunteer during spring break that year. “I just kind of helped out wherever I could,” he said. Schutz said he commended Thompson on his perseverance and determination to succeed in school despite the grief he has faced. “He was struggling in school, and he was able to turn it around,” Schutz said.